to help your organization inspire action and improve health. As a health organization, your data are most valuable when the numbers make sense to real people and can guide decision-making. 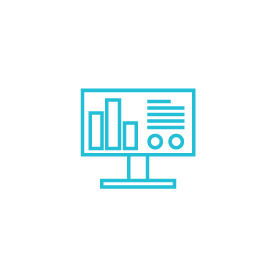 Our web-based platform makes it easy to combine your data with powerful storytelling elements. Create stories, reports and dashboards on your own or consult with our team of public health and strategic communications experts who can help you at every step. Beautiful charts and maps, in seconds: Transform your spreadsheets into interactive charts, graphs, maps and dashboards to share with your team or disseminate online. Easy-to-use templates that are ready to go and automatically update as your data changes.. Experienced public health and communica-tions experts can help you find the right data to support your case and craft messages that appeal to your audience. On-call assistance so that you are confident your projects will finish on time. Add meaning to your data by publishing digital stories and reports that incorporate photos, videos, quotes and more. Join a network that is inspiring policymakers, colleagues and constituents to improve health. A customizable report with local data and strategies for reducing unnecessary c-sections. A story by San Luis Obispo County on the importance of preventing elderly from falling. Launched by the California HealthCare Foundation, HealthData+ is an award-winning partnership between the Public Health Institute and LiveStories, an online publishing platform. Together, we help health organizations across the country use data to tell stories, guide decision-making, and build healthier communities. LiveStories is powering modern organizations with user-friendly data publishing software that makes it easy to explore, share, and present data.